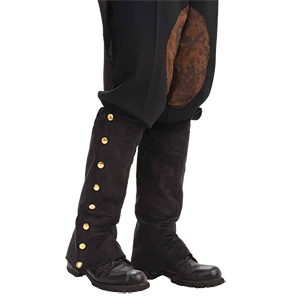 Dress up your boots and shoes with our fantastic period spats and boot covers! 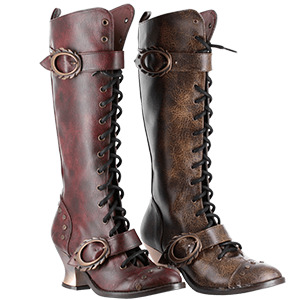 Dark Knight Armoury carries a great selection of footwear accessories in a variety of styles including medieval, Renaissance, steampunk, gothic, and pirate. 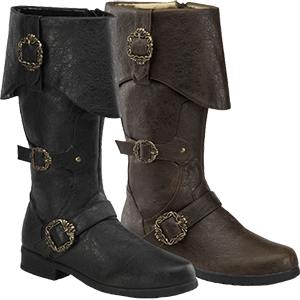 Kids and adults can enjoy adding pirate boot toppers to a buccaneer outfit, and Victorian ladies can increase the finesse of their ensemble with steampunk leg warmers. Alternately, add a vintage edge to a modern look with our gothic leg covers. 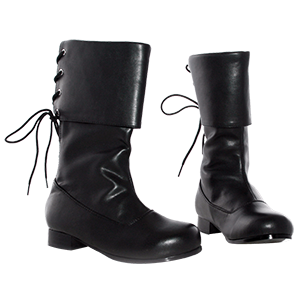 Our spats and boot covers come in various styles from ankle warmers to thigh high boot toppers. These pieces are decorated with studs, feathers, gears, lace, buckles, stripes, skull and crossbones, and other eye-catching details that make each one a unique fashion choice. Transform your footwear with these shoe accents that can suit almost any period outfit, adding sophistication and charm to your look!